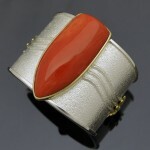 A large cabochon of Pacific salmon colored coral set in sterling silver bracelet with 18k yellow gold accents. Photo courtesy of the artist, Darryl Dean Begay. Coral has been treasured for centuries. Precious coral comes in pastel colors of white, pink (often called angel skin), and salmon orange, but it is the deep red variety that is the most valued. 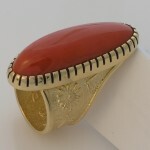 Historically, the finest red coral has come from the Mediterranean. However, much Mediterranean coral is protected today. Stones from this region are being cut from branches harvested many years ago, says John Heusler, of Slabs to Cabs in California. The waters off the coasts of Japan and Taiwan produce most of the high-quality red coral now coming onto the market. So-called “ox blood”—dark red–coral is in great demand, particularly among Japanese and Chinese buyers. Chinese collectors in particular are “insatiably consuming … beaded [coral] jewelry strands,” according to coral supplier Massa Gioconda SAS, in Naples, Italy. 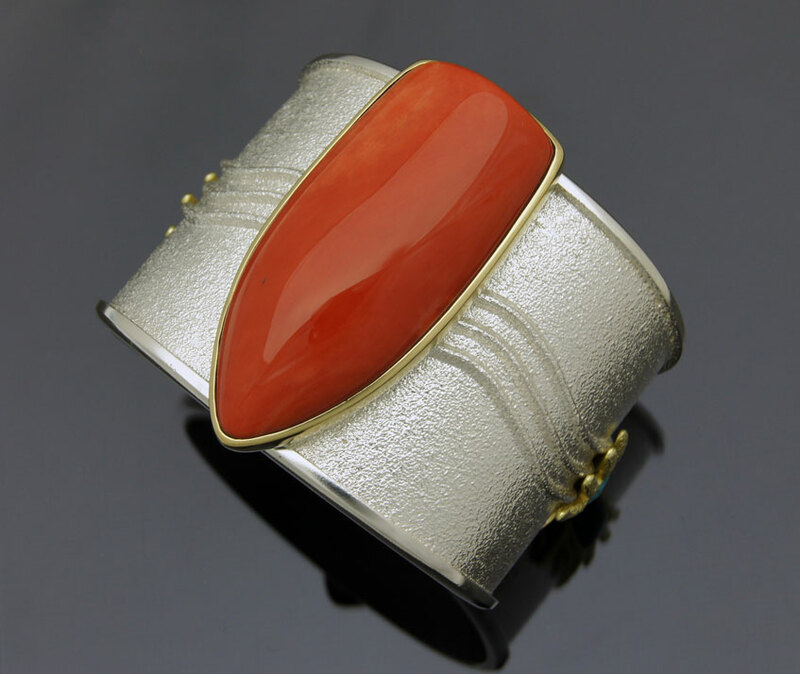 This 18k yellow gold bracelet is set with Mediterranean coral from old stock. Mediterranean coral is rare, due to environmental protection. Photo courtesy of the artist, Darryl Dean Begay. In fact, coral beads have always been—and continue to be—the most popular form of coral jewelry. Drum or barrel shape beads are often chosen in Tibet, says Jeffery Wang of Pao Hung Coral in Taiwan. In the US, where coral is often combined with turquoise and associated with southwestern Native American cultures, bead buyers often choose tubular beads or those made from thin branches. 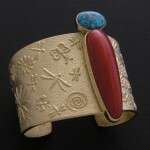 (Coral is used in Native American inlay as well.) However, “round beads have always been considered a ‘classic’ which every woman should have,” according to Massa Gioconda. 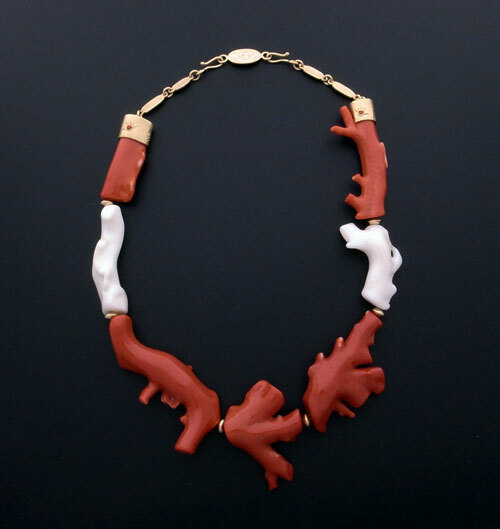 Neckpiece of white and red branch coral with 18k yellow gold accents. Darryl Dean Begay’s work finds enthusiastic collectors in Asia, particularly Japan. Photo courtesy of the artist, Darryl Dean Begay. Coral grows very slowly. 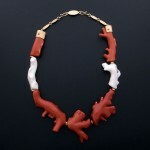 Older, larger coral is rarer, so larger cabs, carvings or beads are “exponentially” more expensive than smaller pieces. Price also depends on the quality of the coral—the desirability of the color, consistency of the color, its freedom from holes, pitting or other blemishes. 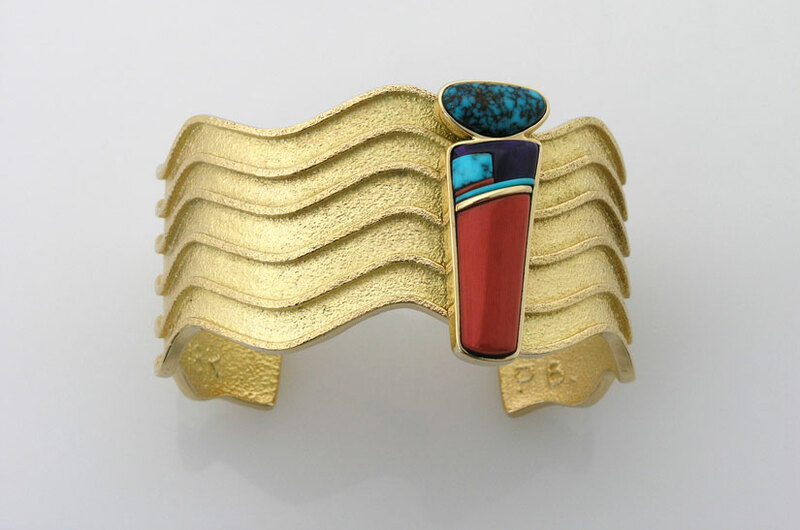 In a strand of beads, the quality of the matching also plays a part. Wang says that coral prices, which are based on weight, range from US$5 per gram to US$2000 per gram. 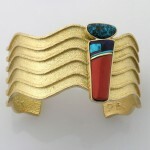 18k yellow gold bracelet with turquoise and lapis. 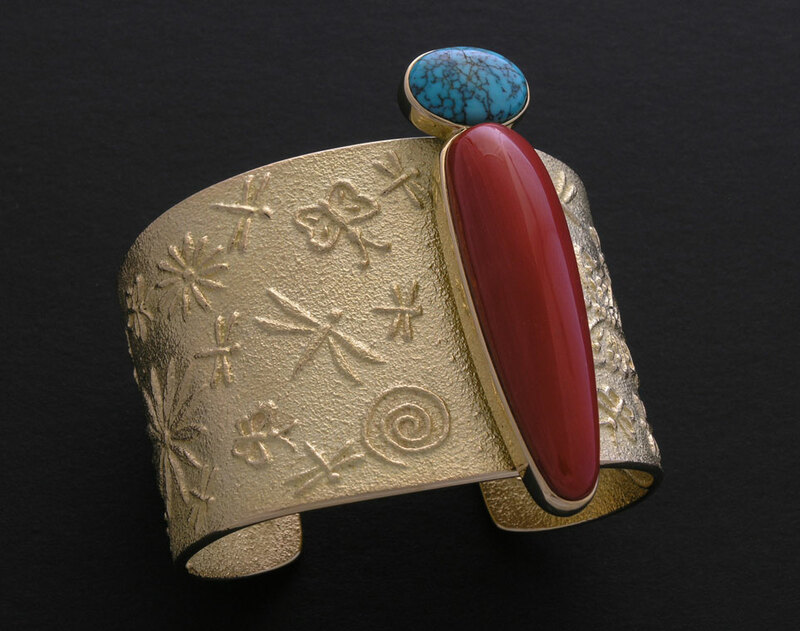 Native American jewelry artist Darryl Dean Begay draws on his culture’s tradition of setting coral with turquoise, but with a contemporary twist. Photo courtesy of the artist, Darryl Dean Begay. Because it has been extracted for centuries, precious coral in many areas has disappeared. In others, the remaining coral beds are protected. 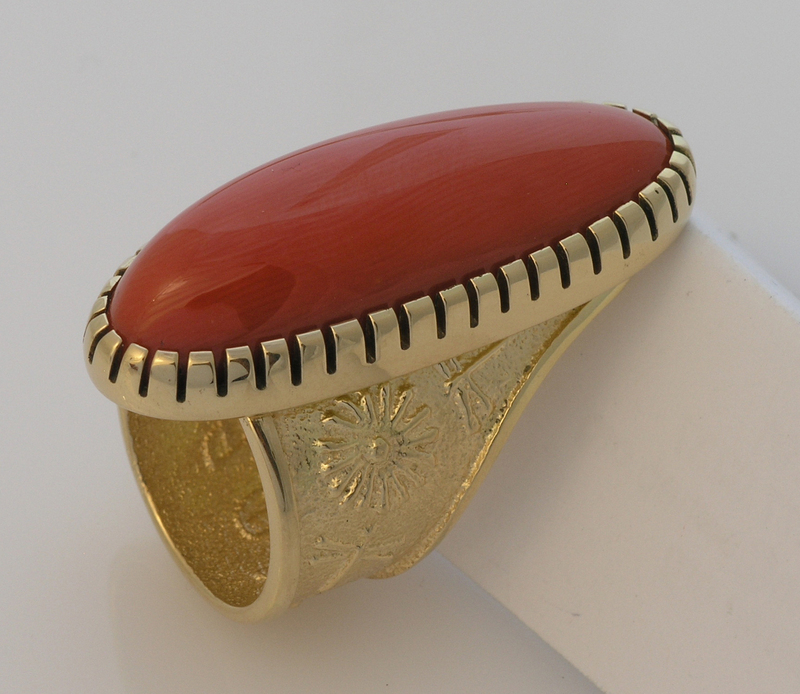 A perfect piece of red coral is all that is needed in this 18k yellow gold ring. Photo courtesy of the artist, Darryl Dean Begay. In addition, precious coral is found at ocean depths of 300 to more than 1000 meters where the water is clear, dark and still. To remain healthy, all coral demands fairly constant water temperature between 13oC to 16oC. When temperatures go higher or lower, coral begins to die. For that reason, coral suppliers express concern about global warming and rising water temperatures which may increase the gemstone’s rarity. First published in Jewellery Net Asia.